Alcohol brings new meaning to the word multimedia! It is without a doubt a leader in its class, bringing the ability to emulate and record CDs and DVDs together into one amazingly easy to use software program. Now includes Alcohol Xtra. A unique Pre-Mastering function. Using the latest technology the program is constantly being developed and improved to add new features, allowing it to maintain it's position as a leading software package. Imagine being able to store your most used CDs as images on your computer and just call them up at the click of a button! And then run them at 200x the speed of some CD drives and without requiring the CD itself! How about being able to make a backup of that CD onto another CD either using the CD itself or just using the image you have created? This is what Alcohol allows you to do and much more. 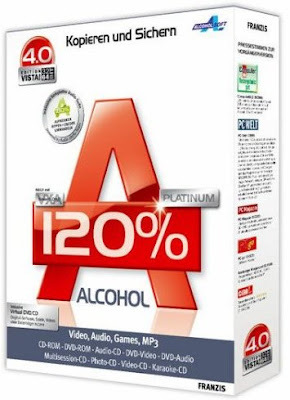 - Alcohol 120% enables you to make a duplicate back-up to recordable media of nearly all your expensive Game/Software/DVD titles, and/or an image that can be mounted and run from any one of Alcohol's virtual drives. - No other software available enables you to create up to a staggering 31 virtual drives, allowing you to run your game images at over 200x faster than from a conventional CD-ROM. Alcohol 120% is a powerful utility that uses a unique combination of options to ensure a perfect back-up every time. - All you need is a PC combined with a CD or a DVD burner. No more replacing your expensive original discs due to loss, theft, scratches, or other media imperfections. Your duplicate works just like the original; your entire collection can be archived and your investment protected. - In the home: Have you had experiences with the common conditions of CDs/DVDs? They can easily get scratched, damaged, broken, lost or even stolen. Alcohol provides you with peace of mind and protects your investment. - Your original games/program discs can be safely stored away. Alcohol-created images mean that you always have your expensive media stored safely on your hard drive for instant retrieval at the click of a button. No more searching for the correct game disc or software application install disc, everything is at your fingertips. - You can now, for instance, simultaneously play your favourite game and bring up your route planner without having to eject and reload any physical discs, The 31 virtual drive ability of Alcohol means you can have the equivalent of a staggering 31 CD-ROM drives in your Home PC, all instantly accessible. You can simply and quickly run your Disc image at around 200 times faster than that of a conventional CD-ROM drive. If you need a program or CD it is immediately there - always ready to use! - At the office: Program discs and many other applications generally require the original disc to be in the computer's CD-ROM drive. This restricts the amount of people in your office who can have access to the same software at the same time without the cost of additional discs. Alcohol's virtual drives resolve that problem for you. No more hunting around the offices for that elusive disc you need to run your application, everything you require is just a click away. - With Alcohol you can store your CD images on your office server, your colleagues and employees at their respective networked workstations will never need to come asking for a CD again, they will not even require an expensive CD-ROM drive installed in their workstation PC! A simple click is all that is required for them to have full access to any disc image they require for their day to day work. Your valuable CDs can be safely kept under lock and key. ArtMoney is a cheating program you can use for all games. ArtMoney can make a troublesome game easier to win by helping you find the memory address where a desired quantity (like amount of money) is located so you can change that quantity. In spite of its title, ArtMoney actually allows you to change any quantity specified in a game, whether it be dollars, bullets, swords, or health points. The program finds a hex address based on the input parameters you set and prints these addresses with their corresponding values. For example, if your character has 1,431 dollars, ArtMoney searches and displays all memory addresses containing the value of 1431. Of course, as there can be hundreds of memory addresses displayed after a simple search, you will need to filter this addresses. - Now ArtMoney uses multi-core processors (or multiprocessor systems) to provide the best possible performance of the memory scanning. If you have a dual-core processor, ArtMoney can scan up to 2 times faster. If you have a quad-core processor, ArtMoney can scan up to 4 times faster! We improved a search for exact value, for pointers, for a sequence of values, for structures and in a range of values. Requirements: Microsoft Windows 2000 or higher. - Increased speed of search and filter with float values up to 2-3 times (depending on conditions). - Increased speed of search in a range of values by 30-50% (depending on conditions). - Increased speed of search for structures up to 2-3 times (depending on structure). - Now minimum system requirement are Intel Pentium II (K6-2) or higher. 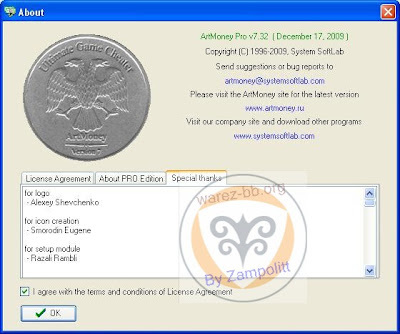 ArtMoney uses processor instructions that are not available on previous processor generations. - Changed the default installation folder to 'c:\games\artmoney'. Don't install the program to 'c:\Program Files' on Windows Vista or higher. It can cause problems with access rights. - Updated memory scanning speed benchmark. Added results for modern multi-core processors. - Updated emulator options. New emulators options for Sega Saturn. - Fixed bug when you scan files in address range. - Fixed bug in search for float values with reverse byte order. - Fixed bug with "Edit Selected" and "Save the pointer" commands when you use module addressing. - [PRO] Now a formula can contain the multiply and divide operations. For example, M2=M1*2. - [PRO] Fixed bug when program is deleted, but ArtMoney service is still present and writes a error message in system log. - [PRO] Fixed crash bug on Windows 2003 Service Pack 2. - [PRO] Fixed bug in filtration of structure with float values. Realtime Video Capture Software - Have you ever wanted to record video while playing your favourite game? Come join the Machinima revolution! Throw away the VCR, forget about using a DV cam, game recording has never been this easy! Fraps can capture audio and video up to 2560x1600 with custom frame rates from 10 to 100 frames per second! 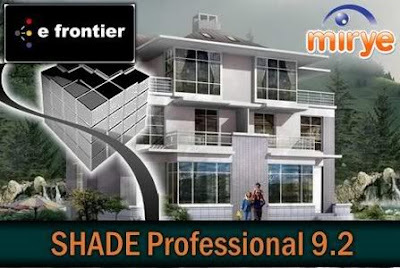 Professional 3D modeling and animation editor from the Japanese company e frontier Inc., Designed specifically for 3D designers animators, game developers, architectural designers and creative professionals, amateurs high-quality rendering. Earned recognition among the designers of land of the rising sun, has recently been the brainchild of company e frontier takes unsuccessfully attempted to gain a foothold in new markets in Europe and North America. Although the official date of birth is considered Shade 1986, algorithms, visualization of the future editor were observed in several hits burgeoning Japanese market of computer games still a year earlier. After a fairly successful running not long in coming and full graphical application written for and had many in common with IBM / AT platform NEC PC-9800. After four years of renewed animation package was first brought to the users of Macintosh, but the first attempt to win their hearts to him and did not manage that, perhaps, not surprising, since the price of his time was almost 18 thousand dollars is why the creators decided to change the Shade line of conduct and especially pricing policies, so that the package has gained wide popularity in his homeland. As a result - more than 70% of Japanese experts and enthusiasts worldwide have taken this product. The total size of the army of fans of different versions of the application some time ago has exceeded 200 thousand people. - Due to special sentiments, fueled by Shade users CAD-applications (ie, they often stop their choice at the Shade as the main means of finishing their final projects), the editor in formats OBJ, IGES 5.3 and DXF demonstrate excellent interaction skills with ArchiCAD and similar applications . - In addition to the standard mechanism miscalculation scenes, users are professional versions Shade can hire the services render CALLISTO 2, which are concentrated the most relevant to date methods of visualization. The main role of this technique is given Global Illumination, which easily copes with soft shadows, reflections and caustics. Even with minimal interference in the setting rays of the tracer leaving behind a scene with a properly lighted textures. - You can not ignore the successes of the regeneration in the HDRI reflection of light rays in combinations of synthetic elements and digitized nature. Function allows you to calculate ShadowCatcher shadows separately from the objects to which they relate. - A module ShadeGrid successfully implemented the possibility of network rendering. In a joint miscalculation can safely use all the machines, IP which after a brief analysis of the local environment are displayed in the list of Preferences. - In addition, designers are available to libraries with lots of ready to use blanks, namely, sets of furniture, vehicles, etc. In sets of 5 Content Packs for Shade (in the format model. Shd). ZoneAlarm protects your sensitive personal and financial data from hacker attacks. It keeps your private information safe from the outside world, and can even track the source of intrusion attempts and map their whereabouts instantly, without exposing your identity or location. 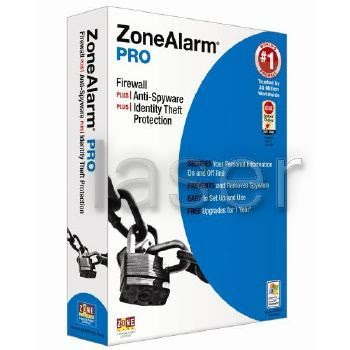 For iron-clad firewall protection, choose ZoneAlarm. Delivers proactive firewall protection with multiple layers of security that stop inbound, outbound, and program attacks while remaining completely invisible to hackers. This additional layer of security prevents hard-to-remove spyware, including rootkits and kernel-level threats, from getting onto your PC and causing damage. More robust detection and removal functions perform deeper scans at every level and purge spyware from your PC. Manages and blocks pop-up ads, online profiling, cookies, cache, and scripts so you can surf in peace. One-click control temporarily suppresses most security alerts and prevents them from interrupting your fun while maintaining maximum protection for your PC. Quarantines suspicious attachments to help defend against unknown viruses; automatically halts outbound messages to keep you from accidentally infecting others. Automatically detects wireless networks and secures your PC from hackers and other Internet threats wherever you're connected - at home or on the road. Provides your PC with real-time security updates, improved response to breaking spyware threats, and new attack protection capabilities. 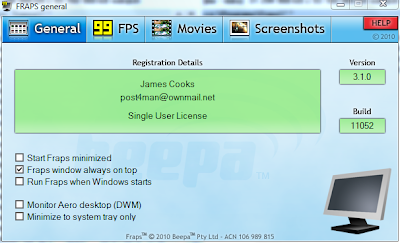 Allows your PC to run quickly and smoothly. AutodeskÃ‚Â® 3ds MaxÃ‚Â® 2010 modeling, animation, and rendering software builds on the excellence of its current features while adding a host of new tools and functionalities. With 3ds Max 2010 software, professionals in the game development, television, film, and digital publishing industries will find the toolsets they need for a comprehensive 3D modeling and 3D animation solution right out of the box.